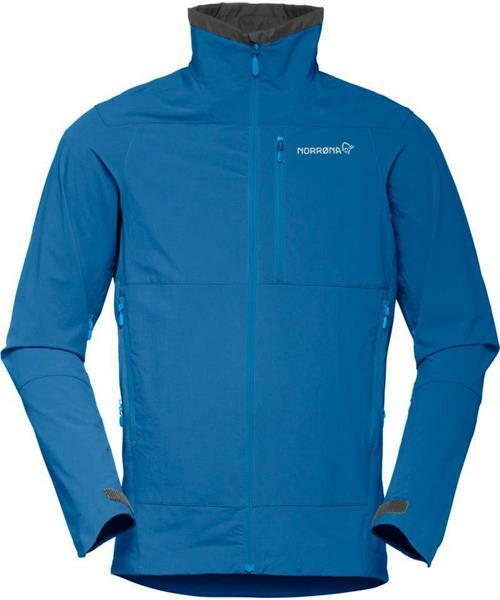 Norrona's most breathable and lightweight soft shell jacket for men. Made of a lightweight and quick drying flex™1 fabric and great for all sort of activities in dry weather. Features include long underarm vents, two lower hand pockets, one chest pocket, cuff closures and a high, protective collar. * Flex™1: A single ply stretchy fabric that provides wind and water resistance while allowing improved moisture vapour transportation rates compared to waterproof products.